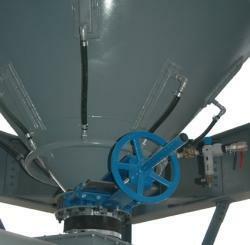 - Aeration Pads are designed to be fitted to the cone of silos for efficient aeration of powdered product in the silo. - Standard numbers are four pads for smaller silos, six pads for intermediate size silos and eight pads for larger silos. Poreflo is available in 5- 50 micron ratings in Stainless Steel 316 L material and may be fabricated to custom sizes such as cylindrical, conical, circular or rectangular pads, etc. as per the target vessel. Being a well-established organization, we are engaged in offering a distinguished range of Aeration Pads For Batching Plant. We are offering Aeration Pads. Aeration pad or diffuser that is used to provide a means of introducing low pressure air into a dry bulk material that has become compacted due to settling. The air will help restore the material's natural ability to flow. We are one of the trustworthy organizations in this domain and are involved in offering an enormous quality range of Aeration Pad to our clients. These Aeration Pads are made using high quality material that is purchased from renowned vendors of the market. Our customers can avail these products at nominal prices. We are the remarkable entity, engaged in offering a superior range of Aeration Pads to our valued clients. Offered products are highly demanded across the market. Being a well-established organization, we are engaged in offering a distinguished range of Aeration Pad. We offer premium quality Aeration pads combine aeration and vibration and are suitable for material flow applications. Their design creates vibration as the air flows between the pads boot and the hopper wall. This provides an effective flow aid for all types of dry products. Aeration pads do not require a specific air pressure for operation. We are proficient name in the industry involved in offering optimum quality of Aeration Pad. Poreflo® is available in 5- 50 micron ratings in Stainless Steel 316 L material and may be fabricated to custom sizes such as cylindrical, conical, circular or rectangular pads, etc. as per the target vessel. I100 Aerator Pads are a low-cost solution which ensures trouble-free material flow from silos, bins or hoppers with a variety of powdery materials. 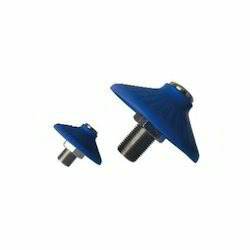 They can be easily mounted and retrofitted in existing plants.